Life on the Ranch: -14!! 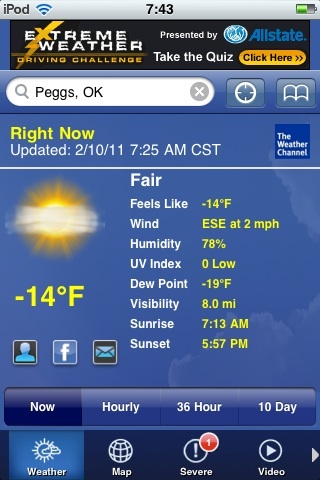 Yep, it was negative 14 this morning!! I think this is the coldest weather I have been in during my mere 46 years. Here's the weather page from my son's ipod for proof!